Every year at the Washington on the Brazos state historic site there is a celebration of the signing of the Declaration of Independence declaring the independence of Texas from Mexico. It was signed on March 2nd 1836 as the Alamo laid in siege. It is usually a large event planned for the first weekend closest to the March 2nd date. In 2011 this celebration of Texas bravado and independence fell on the weekend of February 26th and 27th. This year the crowds were so big that the Texas National Guard was directing traffic and the overflow parking was in a big pasture right behind the Barrington Living History Farm. The 2011 celebration was the 175th anniversary of the signing. All the decedents of the 58 signers of the Declaration were invited and honored at the event. A big part of the event was simultaneous family reunions, all celebrating their heritage. 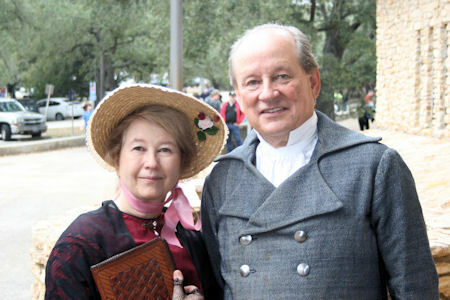 Every year the event includes reenactors dressed in period costumes. Both pioneers families and members of the Texian Army camped out on the historical site grounds. 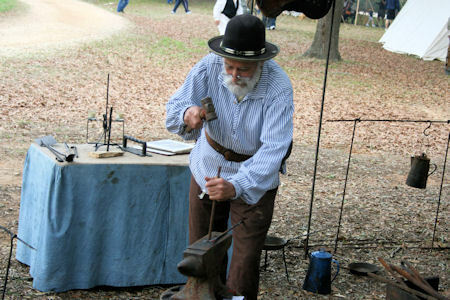 Many demonstrate period crafts and skills that range from candle making to blacksmith work. Then there are musicians everywhere. Of course, there is always what I call " Festival Food". Almost anything you can imagine fried or served on a stick. As I was walking down the path lined with food vendors and smelling the turkey legs mixed with the scent of kettle corn the was a big BOOM!!! . The entire crowd around me jumped in unison. Not to worry, it was just the Texian Army firing off an artillery piece. In general a great time was had by all but, if you want to really get a good unobstructed picture of Independence Hall or really study the artifacts in the Texas Star Museum you need to come at a different time. 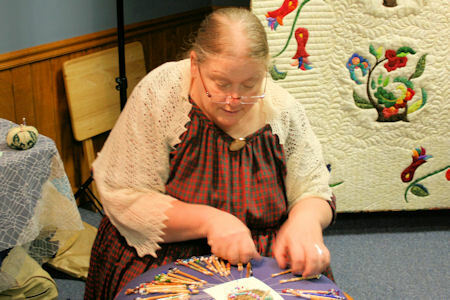 There are things happening here year around and it is great place to start a Bluebonnet Tour in the spring time. For a schedule of events and operating hours just check out their website listed below.